As much as I love my statement necklaces sometimes an outfit needs something a little bit simpler. 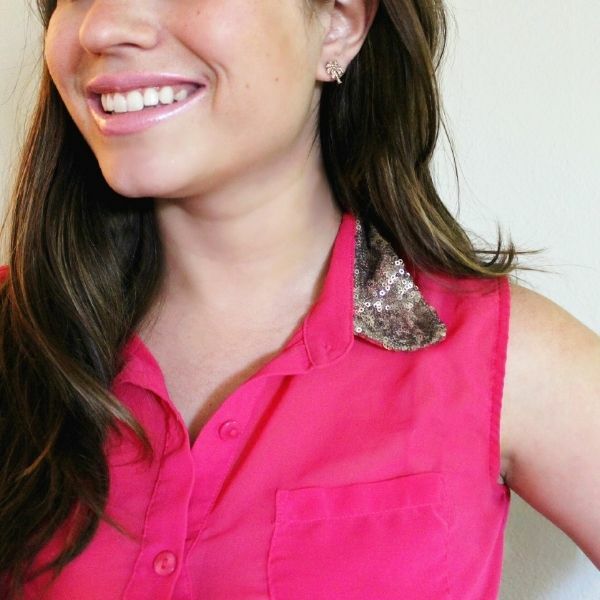 A pair of statement stud earrings can add a fun little finishing touch to your outfit. Sometimes I'm in the mood for glam colorful gems- but I also like choosing cheeky styles like this gold pineapples, monograms or bows! 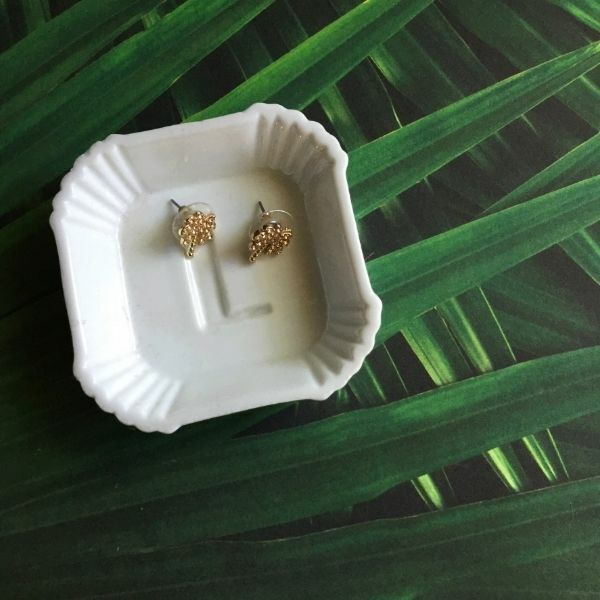 The best part about statement studs is that they're an affordable way to accessorize. I love picking up inexpensive pairs at Forever 21 to add to my collection! It's a great way to experiment with trends. If you're going to splurge go for a more classic style. When I'm wearing a pair of statement studs, I don't fuss with a ton of extra jewelry. I might wear a bracelet or rings, but otherwise I like to let the earrings take center stage! 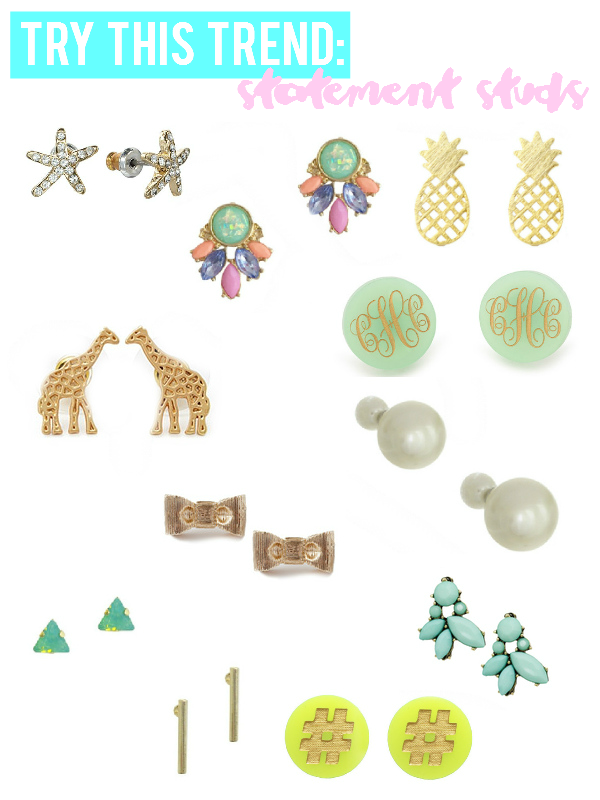 Be sure to check out my round up of fun statement studs below! Which statement stud style are you loving? P.S. Need more jewelry styling inspiration? Be sure to check out my "Accessorize" Pinterest board! I love all of your picks, especially the pineapple ones! !